Another unseasonably warm day at the Western Pacific Railroad Museum brought Fritz and I up from Reno to begin the work of making the RAL fleet ready for use this coming season. Our goal: Pre-lube, check, and start WP 917D. The day’s work started out fine, if a bit annoying (Someone had pulled the crimp-connection on the water hose too hard, and caused it to come loose and leak significantly) with beginning to water up 917. No new leaks. Excellent. Fritz uses the specially designed tool to turn over the flywheel of the 917’s Prime Mover. A survey of the locomotive’s other non-water fluids showed it was slightly low on oil, but fine on all others. This was not a concerning detail, since we would be pre-lubing it anyway, which adds some. 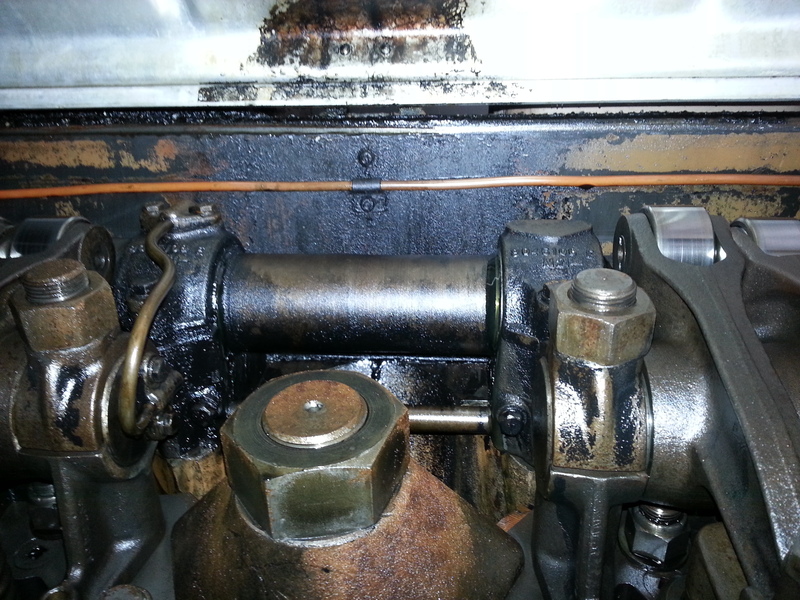 We opened the cylinder relief valves on the block, and flashed the engine with the baring-over tool. Fritz operates the yellow forklift. 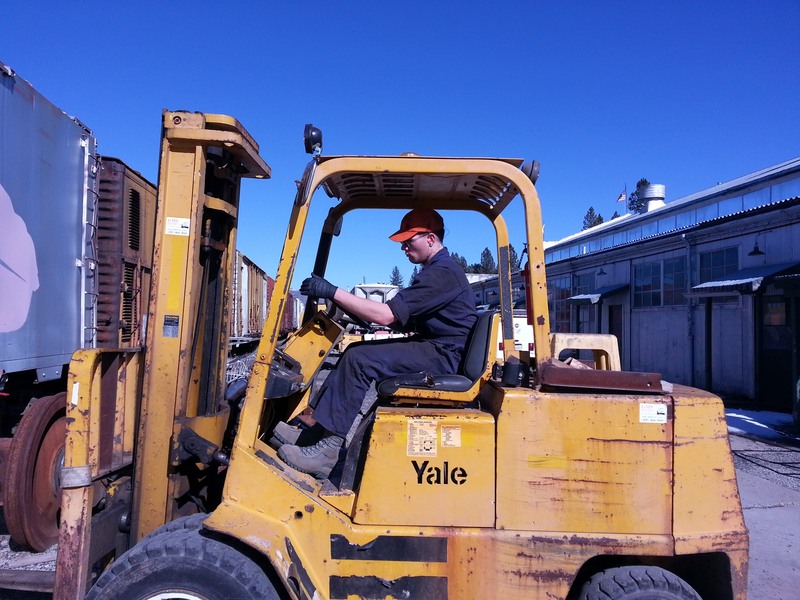 A quick trip with the Museum’s big yellow Yale forklift, and some running of extension cords, and we were ready to begin pre-lubing the locomotive. 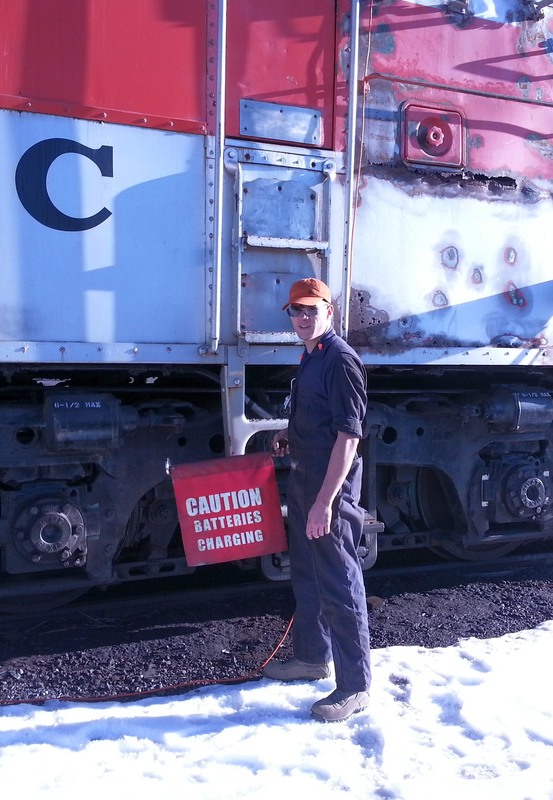 Pre-lubing is important when a locomotive hasn’t been run in a while, since it ensures the bearings and moving parts are sufficiently lubricated after oil may have run out and off over time. Pre-lubing complete, time to start it up! Complication: Not enough battery power. Out comes the charger, and the helpful mag-mount Battery Charging Flag. Maybe tomorrow. 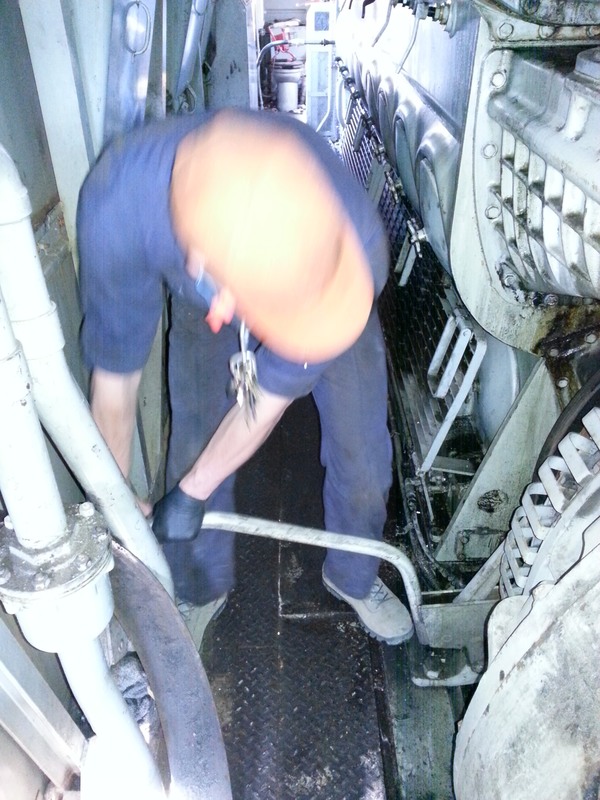 Inside the engine under the top deck covers, displaying the moving parts that require lubrication. Fritz with the magnet mounting Battery Charging flag.